If you served in the United States armed forces between 2003 and 2015, and now suffer from ringing in your ears (tinnitus) or hearing loss, you may be entitled to compensation through a 3M lawsuit. In January 2019, the 3M Corporation agreed to pay the U.S. government $9.1 million to settle allegations that it knowingly supplied the U.S. military with faulty earplugs. Rutter Mills is filing lawsuits on behalf of military veterans with hearing loss to ensure they get the best possible care in the years to come. Previously, you may have thought hearing loss was just “part of the job.” However, we now know that is not the case – that much of the hearing loss experienced by veterans could have been prevented. To find out if you qualify for compensation, simply call or email a representative from Rutter Mills for a free consultation. Qualified veterans receive all legal representation from Rutter Mills with NO upfront fees or out-of-pocket costs. The winning of a settlement will not impact your VA benefits. What is the 3M Combat Arms Earplugs Lawsuit About? 3M knew as early as 2000 – before the earplugs became standard issue – that there were flaws in the design. The short stem of the inverted cone did not fit deeply into the ear canal to block all dangerous decibel levels. 3M tried to keep other companies from selling better and more effective earplugs. The defective design needlessly put members of our armed forces in harm’s way. Tinnitus – Commonly referred to as a constant “ringing in the ears,” the exact sound sufferers hear ranges from crickets, hissing, and screeching, to buzzing, ringing, and the roar of an ocean wave. With most cases, the sound is constant, but may appear louder or quieter depending on how much noise is in the room. In rare cases, tinnitus sounds may pulse in time with one’s heartbeat or repeat a musical loop over and over again. Hearing loss – For millions of veterans, hearing loss is a gradual process that can take a decade or longer to manifest. People with hearing loss may have difficulty understanding words in a crowd, feel that others either mumble or speak too fast, watch speakers’ mouths to figure out what they’re saying, turn their head to hear better, have difficulty moderating volume and enunciating, and/or experience chronic fatigue. You can file a lawsuit if you served in the U.S. military from 2003-2015 in conflict zones such as those below, used the defective earplugs, and have suffered hearing loss. Veterans involved in these conflicts may have a high incidence of hearing loss. An estimated 2,694,980 military service members are diagnosed with tinnitus or hearing loss each year. When you call Rutter Mills for a free case consultation, we’ll go over when and where you served, as well as your medical records and expenses. We will try to negotiate a settlement on your behalf. If the other side refutes our claim, we are prepared to take your claim to court. Since there are so many similar claims, the lawsuits may be consolidated into Multi-District Litigation to streamline hearings and determine the strengths and weaknesses of the opposing arguments. During these proceedings, 3M might opt to settle with plaintiffs, rather than endure the expense and time drain of individual trials. Unlike class action lawsuits which pay claimants the same amount of money, MDL plaintiffs have their cases judged based on individual merit for fair and just compensation. While filing a 3M earplug lawsuit cannot restore your hearing, you can have some peace of mind that the best treatments, and financial compensation may be available. 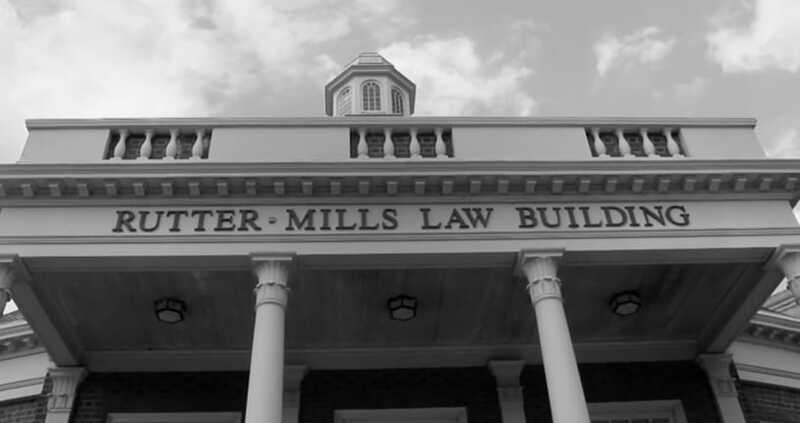 Rutter Mills is a top law firm recognized by Best Lawyers, US News & World Report, The National Trial Lawyers Top 100, and America’s Top 100 Attorneys. We are already familiar with the facts surrounding the case against 3M and are prepared to go to trial if necessary. Contact us for a free consultation to find out if you’re eligible to receive compensation. Many accident victims want to attempt to settle their claims themselves, until they ultimately become frustrated and overwhelmed by the lack of cooperation from the insurance company. The truth of the matter is that a personal injury lawyer can help auto accident victims throughout the claims process. The second you are involved in a serious accident, the insurance company switches from being at your side, to the opposition – looking out for their best interest, and their bottom line. When you are in an accident, an injury lawyer can play the advocate roll and help level the playing field against the well-funded defense of the insurance company. While a lawyer will do many things for you throughout your case, none may be more important than letting the insurance companies know that they can’t push you around and that your claim must be taken seriously.